We offer an assortment of refurbished and used Gas Chromatography solutions ranging from GC, GC Mass Spectrometers and Autosamplers and Detectors and Pumps. Some of our leading manufacturers include Agilent, Hewlett Packard/HP, Shimadzu and Tekmar. 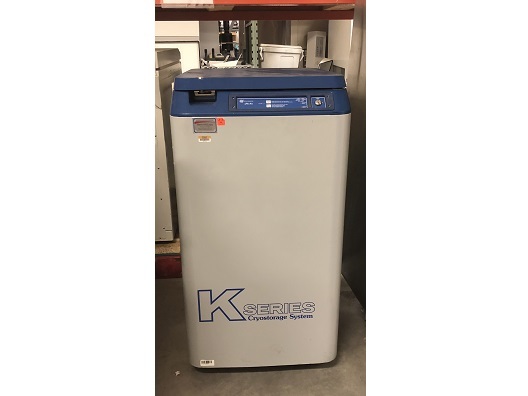 Description: The Extended Time (XT) Series of cryogenic refrigerators are designed for long-term storage of a variety of materials at cryogenic temperatures. This series also offers low profile models (XTL), with 5” (127 mm) canisters. Fully compliant cabinet with compact design, features fire resistant construction for the safe storage of flammable and combustible liquids. Use alone or alongside larger safety cabinets for expanded storage when floor space is limited. 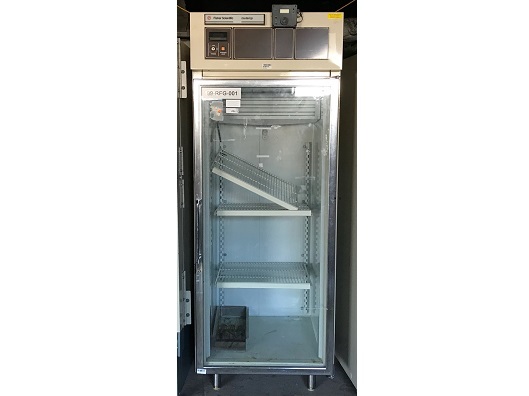 The Thermo Scientific Locator Rack and Box Systems simplify sample storage and retrieval with unique hanging rack and gridded box design, advanced vacuum insulation, and unmatched temperature uniformity. Includes four indexed stainless-steel vial racks. Outstanding temperature uniformity: samples are stored below -180°C even when less than 2" (5 cm) of liquid nitrogen remains in the vessel. 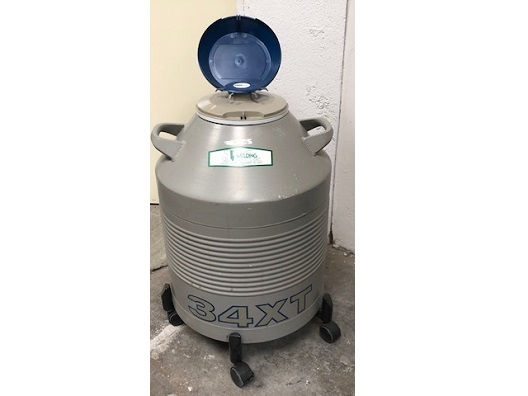 Advanced vacuum insulation minimizes liquid nitrogen evaporation and reduces operating costs. A Flexible pipetting workstation for cherry picking, dilutions, ADME/Tox, SPE, genomics and proteomics, 8-Tip MultiPROBE II systems enable pipetting into tubes, vials and microplates. A variety of tips and dispensing options allow MultiPROBE II systems to dispense volumes from 100 nL and up. Using VersaTip PLUS probe design, the MultiPROBE II can switch between fixed and disposable tips in one assay. WinPREP software offers visual drag-and-drop simplicity for creating and optimizing protocols from simple assays to vacuum filtration protocols, MALDI spotting, device integration and more. Deliver performance, security, and quality. Particularly suited for routine laboratory applications. The Agilent/HP 6890 GC features electronic pneumatic control of all gas pressures and flows. On-board sensors automatically compensate for ambient temperature changes and barometric pressure differences to routinely achieve more accurate and reproducible results. EPC reduces re-calibration frequency and improves laboratory productivity. Designed to work seamlessly with the 6890N, the included 7683 Autosampler connects without a controller box or multiple power cords/outlets, and is packed with features including Agilent’s fast-injection technology. Overview: Laboratories worldwide are looking for a GC solution that delivers reliability, performance, and reproducible results, And nothing produces these benefits like the Agilent 6890N Network GC. By integrating leading-edge technologies with an emphasis on quality manufacturing processes, the 6890N will bring a work ethic to your laboratory that’s matched only by your own. Lets you share business and scientific data easily within a laboratory and across sites for fast and informed decision making. Incorporates local area network (LAN) technology as a standard feature, which makes it easy to link communication and control of multiple analytical instruments. With networking, you can work smarter, faster, and more economically. Increased Laboratory Efficiency: Clock-time programming allows you to set up runs for unattended operation whenever you want. The system can be ready to work when you get to your laboratory. Pre-run and post-run commands automatically prepare the system for the next sample. Decreased Calibration Time: You can manually enter existing calibration data and make a run with just one standard peak. The system can normalize the calibration table for you, allowing you to cut calibration time and avoid re-running your calibration standards. 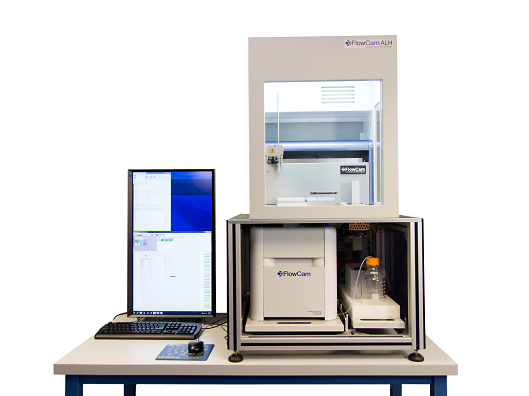 High Sample Throughput: The 6890N network GC system is already set up for the Agilent 7683 automatic liquid sampler, enabling fast and easy installation. Single or dual injectors, equipped with either an 8-sample turret or a 100-vial sample tray, allow unattended operation. 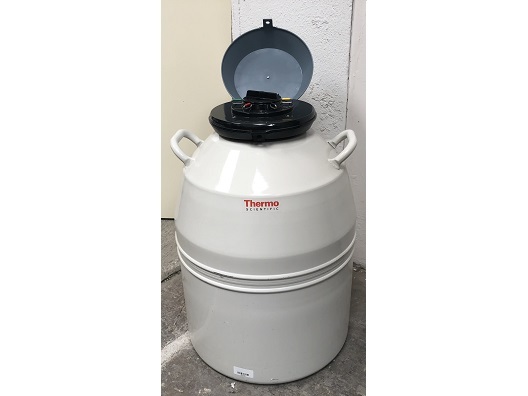 Using the 11-vial transfer turret with the tray and the solvent saving mode, you have enough solvent to run unattended eight times longer than before. Minimal Rework: The Agilent 6890N network GC system is the only GC system that automatically selects the optimum pressure-control mode for split and splitless analyses. Forward-pressure control is best for splitless injections. Along with a large inlet liner volume and pressure-pulse operation, this mode reduces discrimination, sample degradation, and sample loss caused by liner overload while maximizing sensitivity. For split injections, the system automatically selects back-pressure control for linear split ratios over the entire usable split-ratio range and over wide column flow and pressure ranges. This reduces sample preparation and increases reproducibility and accuracy. Automatic switching between forward-and back-pressure modes yields optimal results in less time and with less effort. The Agilent/HP 6890N GC features electronic pneumatic control of all gas pressures and flows. On-board sensors automatically compensate for ambient temperature changes and barometric pressure differences to routinely achieve more accurate and reproducible results. EPC reduces re-calibration frequency and improves laboratory productivity. Designed to work seamlessly with the 6890N, the included 7683 Autosampler connects without a controller box or multiple power cords/outlets, and is packed with features including Agilent’s fast-injection technology. Electronic Pneumatics Regulation (EPR) provides the simplicity of manual operation with high precision digital display of pressure/flow and superior ease-of-use as compared to traditional manual pneumatics systems. Easy to learn and use software – choose among a wide selection of OpenLAB CDS software offerings. 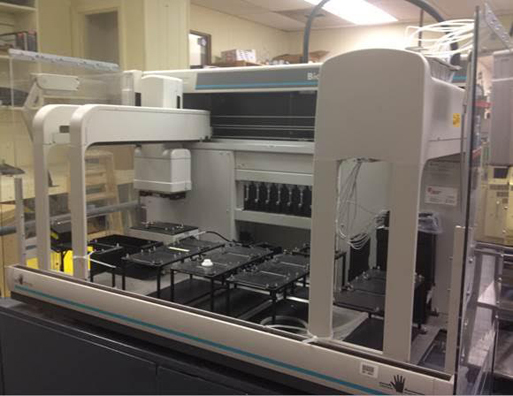 Supports the 7693A Automated Liquid Sampler and Tray (not heater/mixer/bar code), 50-sample automatic liquid sampler and PAL3 Auto Sampler systems. Choice of inlets: Split/Splitless Inlet for megabore and all capillary columns; packed for wide bore capillary and packed columns, Programmable Cool On Column inlet for direct injection onto columns.